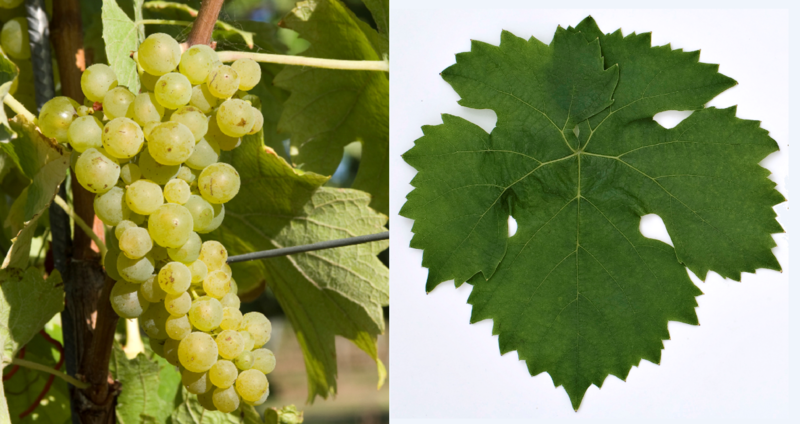 The white grape variety (also Alzey 10378) is a new breed between Muscat d'Eisenstadt ( Ingram's Muscat x Müller-Thurgau according to published in 2012 DNA analysis, The parenting of the Luglienga Bianca x Gamay it turned out to be wrong. The crossing took place in 1929 in Germany by the breeder Georg Shy (1879-1949) in Alzey / Rheinhessen. The name Scheu employee Anne-Marie Regner (1911-1999) was honored for many years. The early ripening vine yields a rather low-acid, reminiscent of Müller-Thurgau wine with light nutmeg, The variety is cultivated in Germany on 42 hectares of vineyards, of which alone 41 in Rheinhessen, There is a small stock of four hectares in England, In 2010, a total of 46 hectares of vineyards were reported (Kym Anderson ). This page was last modified at 28 March 2019 at 07:03.